Thor's hammer is missing again. The thunder god has a disturbing habit of misplacing his weapon--the mightiest force in the Nine Worlds. But this time the hammer isn't just lost. It has fallen into enemy hands. If Magnus Chase and his friends can't retrieve the hammer quickly, the mortal worlds will be defenseless against an onslaught of giants. Ragnarok will begin. The Nine Worlds will burn. Unfortunately, the only person who can broker a deal for the hammer's return is the gods' worst enemy, Loki--and the price he wants is very high. It went rather well compared to most 2nd books in a series. Storyline goes well with 1st book. R.R. has managed to keep the series interesting. 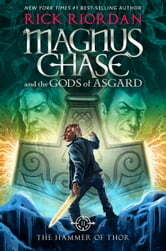 Would highly reccomend to people who like his percy jackson and Kane books. Its an amazing story with laughs, twists amd turns, and a very good description on genderfluid. Keep up the good work, Rick! Very well written. A lot of time and effort went into that book and it really shows. This book will no doubt give you a good laugh, and fuel your imagination for days, even weeks! In other words, this is a 5 out 5 star book! A great book, and you will surely get lost in it's pages. 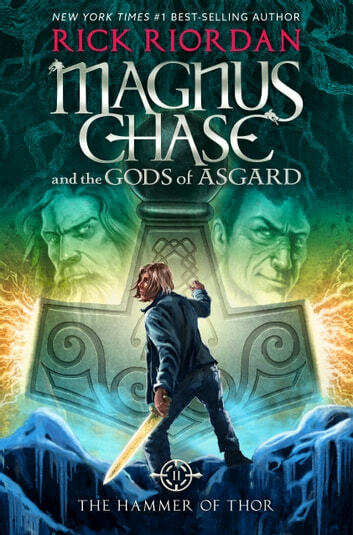 Rick Riordan has created a bestseller. It is even better than first.